WordPress themes can run the gamut from niche uses to all-purpose. They can also vary considerably in both quality and price. Note that, just because you’ve paid for a theme that doesn’t guarantee quality. We’ve collected some of the best free WordPress themes for building your site in 2019. 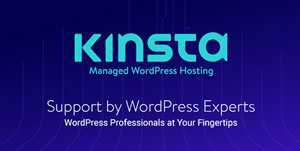 The themes have all been developed to the highest of standards by some of the top names in the WordPress community, all are responsive, so will adapt to any screen size, and all have been designed with latest design trends in mind. Not a professional designer/developer? Not to worry. Some of the themes below feature page builders, allowing you to create complex, feature-rich layouts with no coding necessary. Likewise, there are themes aimed at professionals looking for a basic starting point in their site development. There is something here for just about every need and skill level. Built to let your words stand out, Libre is a theme that specializes in long-form writing. Longform lets you tell your story in unique ways with the ability to publish posts in chapters, timelines and other attractive formats. 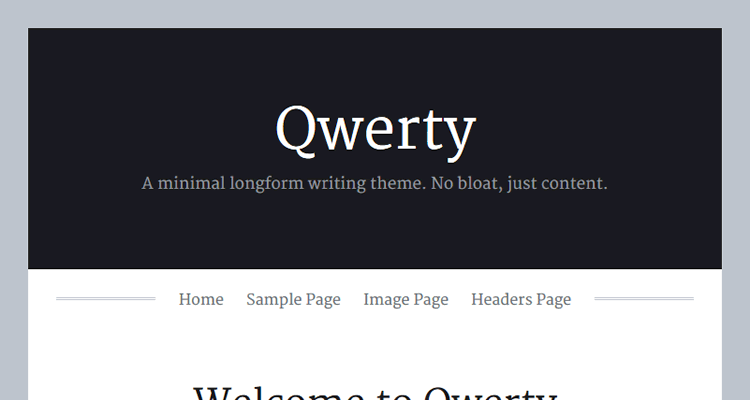 Qwerty is a WordPress theme that doesn’t come with many frills or dependencies. It’s built for speed and putting your content front and center. Editor features beautiful typography and a uniquely functional tabbed sidebar. The tabbed sidebar content allows you to go well beyond the standard collection of widgets. Radcliffe is a simple, yet lovely theme featuring large, full-width images and stand-out headlines. If you’re looking for even more themes for writers, we have also published this collection: Free WordPress Themes For Writers. 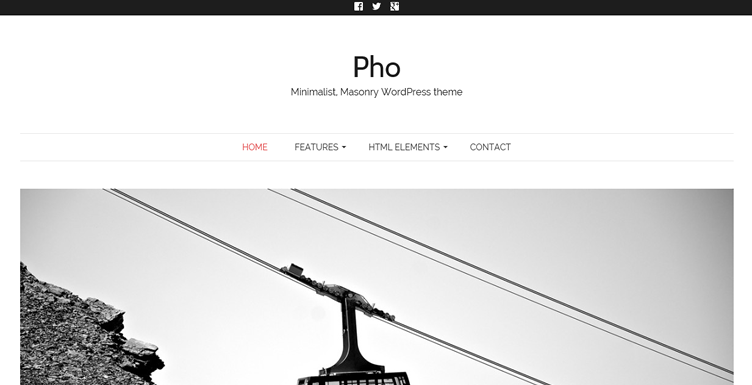 Pho brings a masonry-styled layout to feature your photography. There are also several font choices included to help your words make an impact. 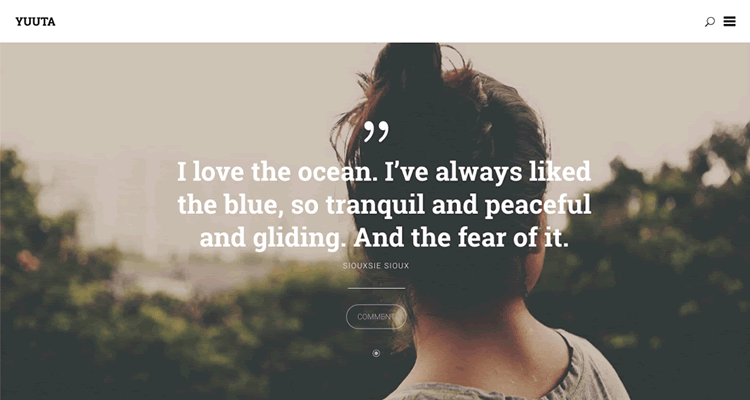 Tography uses CSS animations to add an interactive feel your photo blog. 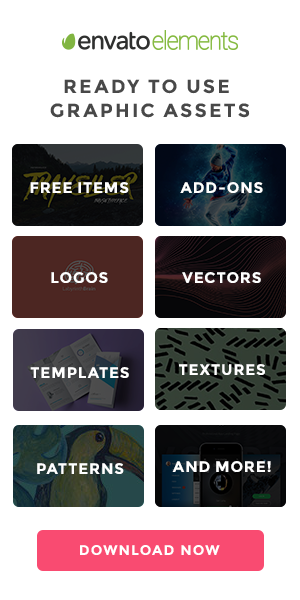 The included filterable portfolio lets users quickly view the various categories of your work. Fullscreen is a one-column theme that features a unique, side-scrolling home page with a clickable gallery. Like the layout of Pinterest? 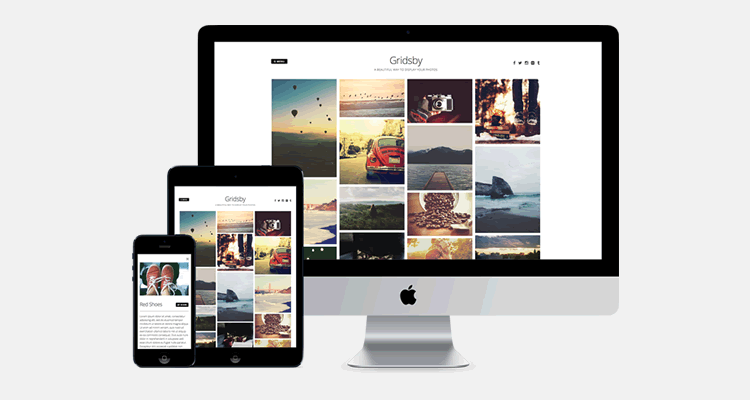 Gridsby offers a similar grid layout that opens your photos up into an opaque window. Tracks is a “bold and beautiful” theme that really gives each post its own moment in the sun. Large photos and bold typography make for an attractive, yet uncluttered feel. Isola is created by the folks at Automattic, so you know this clean theme will both look great and use WordPress best practices. 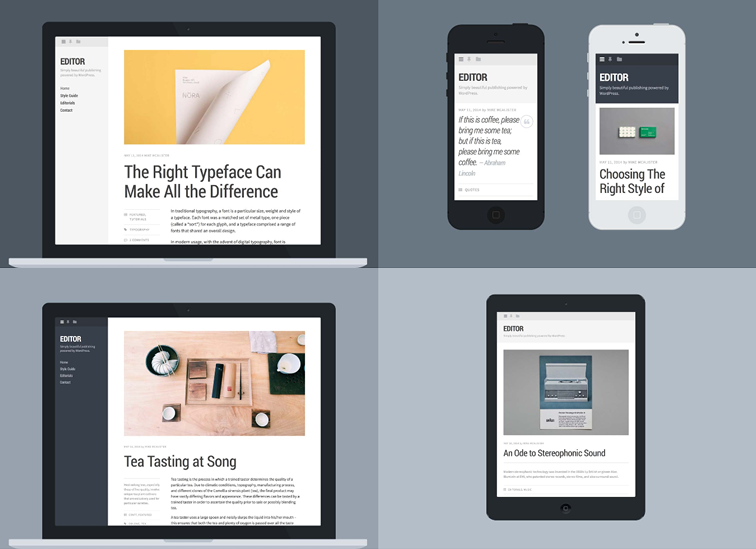 Also from Automattic, Espied is a responsive, grid-style theme that provides great visuals of your work. 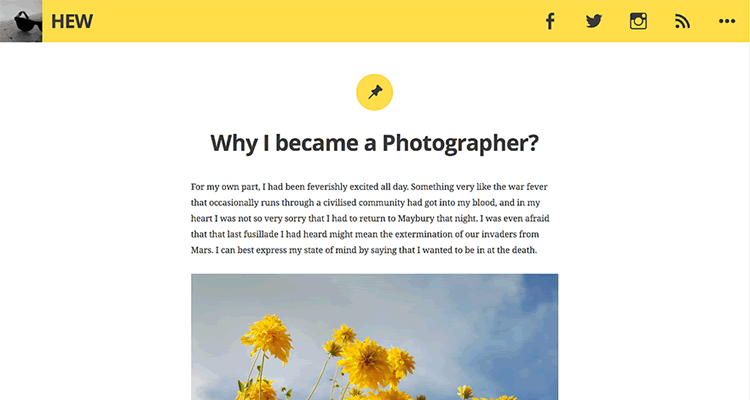 For more Photographer themes: 16 Free WordPress Themes for Photographers. Daily comes with a full screen intro panel and a very clean, well-spaced interface. Illustratr features bold typography and a grid-style portfolio layout. There’s also an expandable footer area. 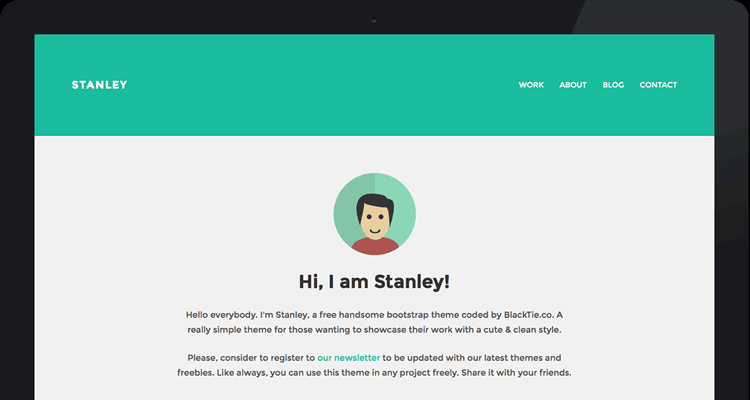 StanleyWP is a WordPress theme based on Twitter Bootstrap that features a drag-and-drop home page builder. A very simple and clean layout. Proper exudes class with its simple layout and use of CSS animations/transitions. 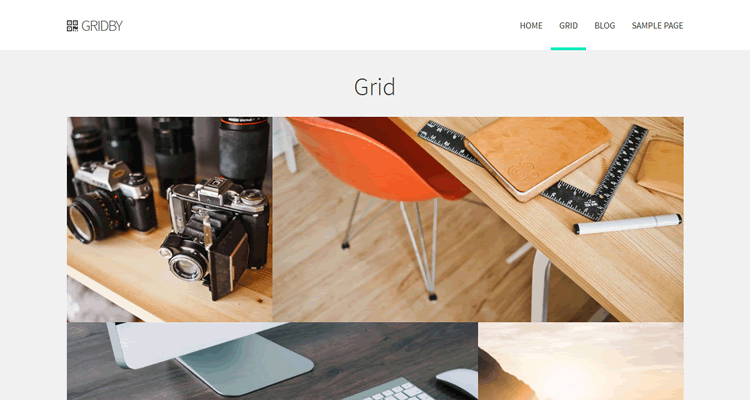 Gridby is a lovely Bootstrap theme that places your portfolio in a stunning grid display. There’s also an equally exciting storytelling layout that adds in bold typography. Beetle Go is aimed at those who want a clean, attractive way to display their portfolio. It features parallax scrolling, lots of built-in icons and several interesting layouts. 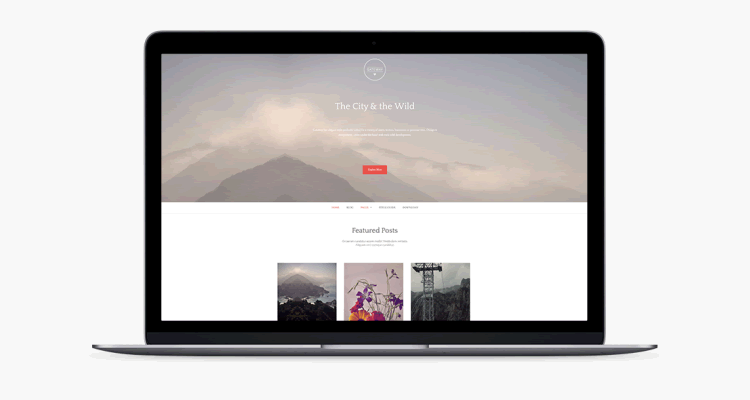 Sketch is a very clean and minimal portfolio theme that lets your images do the talking. 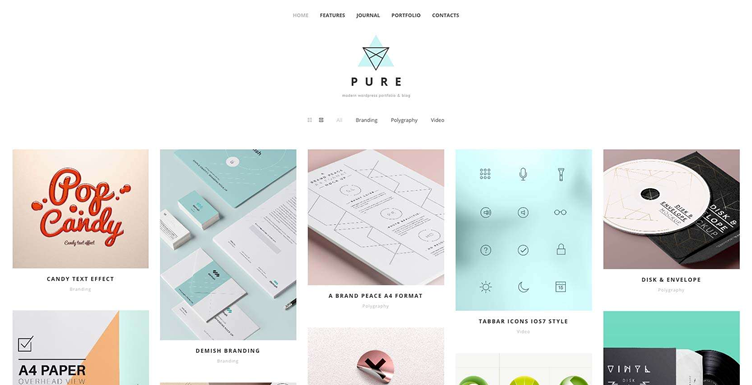 Pure includes lots of great layouts and built in features like pricing tables, tabbed content viewers, buttons, icons to bring your portfolio to life. 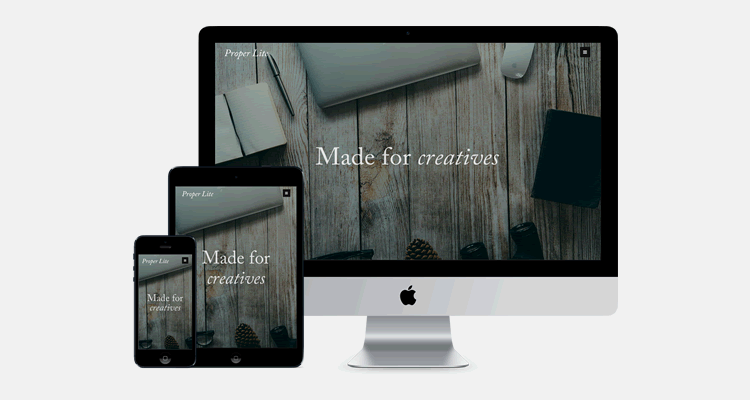 For more portfolio themes: 20 Free WordPress Portfolio Themes for Creatives. 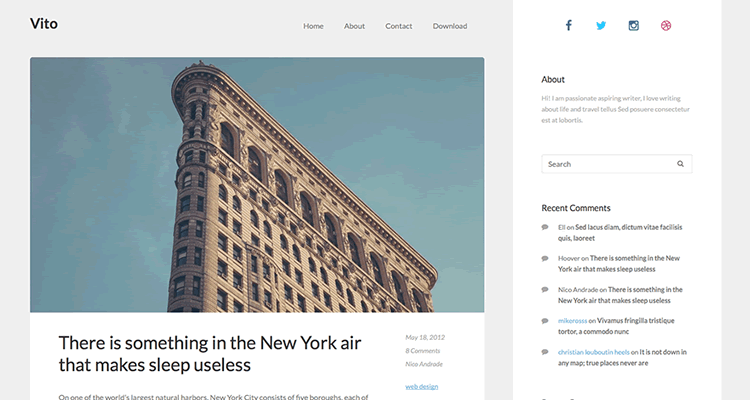 Primer is a clean and spacious WordPress theme that’s perfect for small businesses. 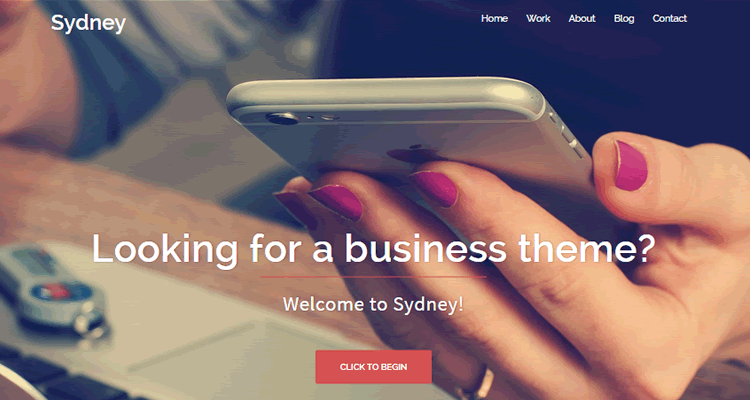 Sydney brings bold imagery, built-in features like a slider, animated charts, filterable portfolios and a stunning layout to promote your business. 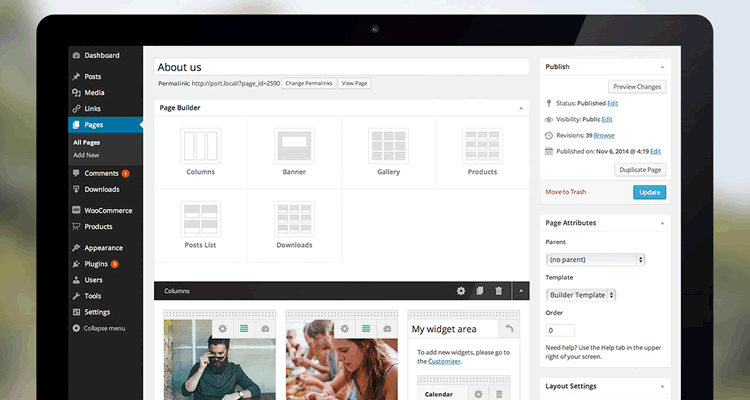 Using a drag-and-drop page builder, Make provides a number of gorgeous layouts. It’s great for online stores as it is compatible with both WooCommerce and Easy Digital Downloads. 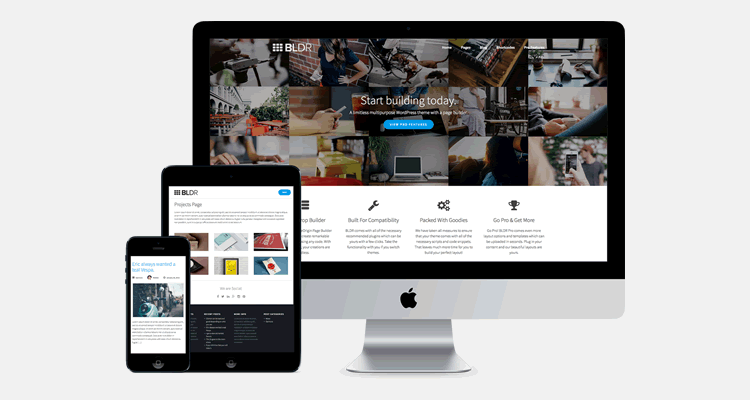 BLDR features a page builder and enough goodies packed in to create just about any type of website. Special page templates are included for testimonials, service lists and projects. 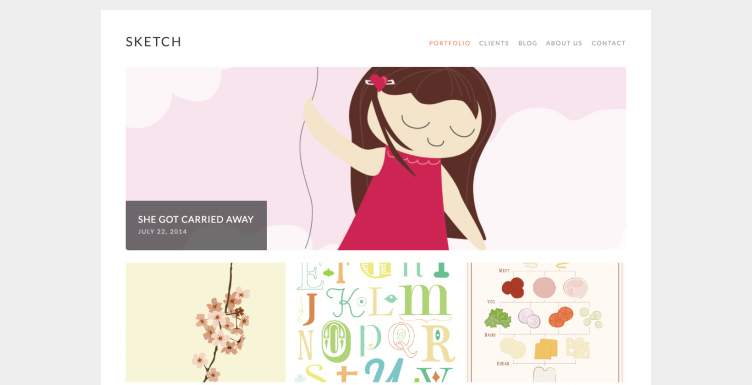 Zeal is a stylish multi-purpose theme that can be used to build any type of site quickly. If you’re looking for more free themes businesses, you should checkout this collection: 15 Free Business & Corporate WordPress Themes. Ocin is a gorgeous WooCommerce theme for anyone looking to give their online store a clean and minimal appearance. Hype works with the Shopify eCommerce platform and allows you to combine it with the power of WordPress. For more WordPress eCommerce themes: 15 Free eCommerce & Shopping Themes for WordPress. Windmill is a free WordPress blogging theme with the bonus of being compatible with WooCommerce. Hew includes a nice splash of color and an expandable header that opens up to navigation and other available widgets. 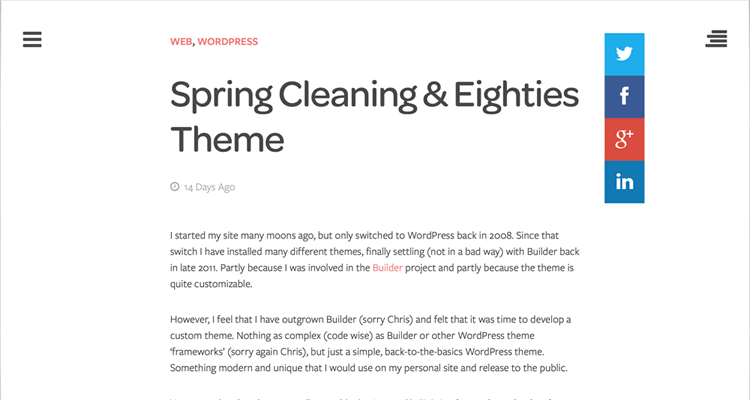 Eighties is a single-column blogging theme. There is a sidebar, but it is only available by clicking an icon, which opens it up into a nice overlay window. 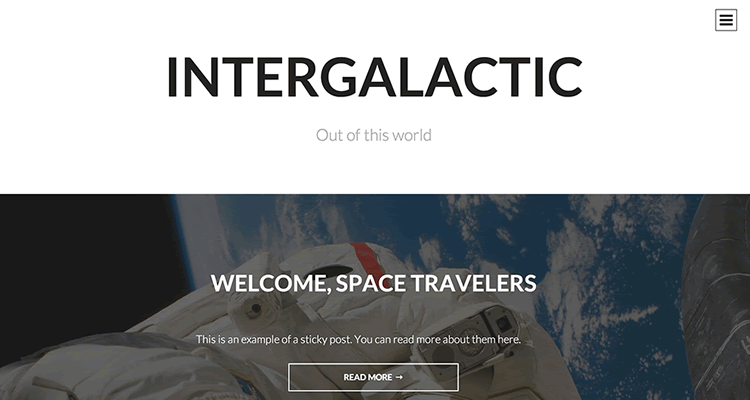 Intergalactic uses large photos along with bold typography in order to create a slick look while also being highly readable. 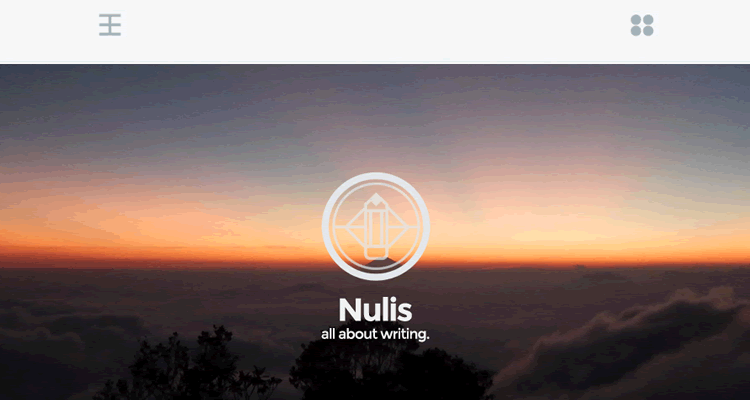 Nulis was built as a single-column blogging theme that makes great use of whitespace and featured images for you posts. Casper, inspired by the Ghost blogging platform, is a super-minimal WordPress theme that ensures your content is front and center. Gateway features an elegant look with an array of useful shortcodes through use of a separate plugin. Rams is simple and stylish. The theme is compatible with many JetPack features like infinite scroll and tiled photo galleries. Vito sports a very simple layout along with some CSS animation to add a touch of class. Lingonberry uses WordPress post formats to create an attractive way for different types of content to stand out. Yuuta will feature your posts as a “visual diary”. You can even add a background image to each post. Hoffman is a great theme for showing off your photos. There is a nice slider feature for individual posts. 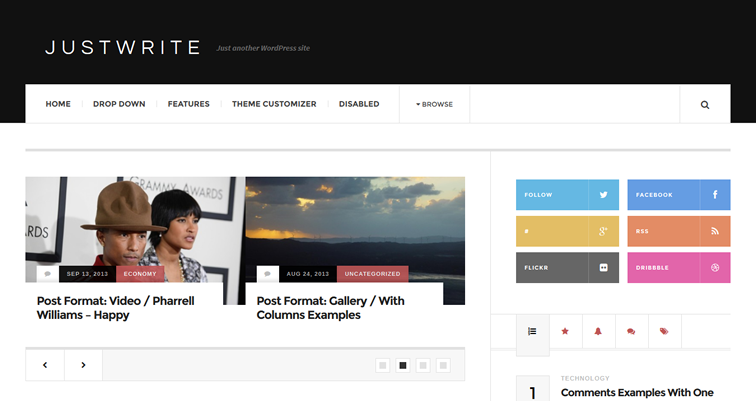 You might also like our collection of personal blogging WordPress themes. 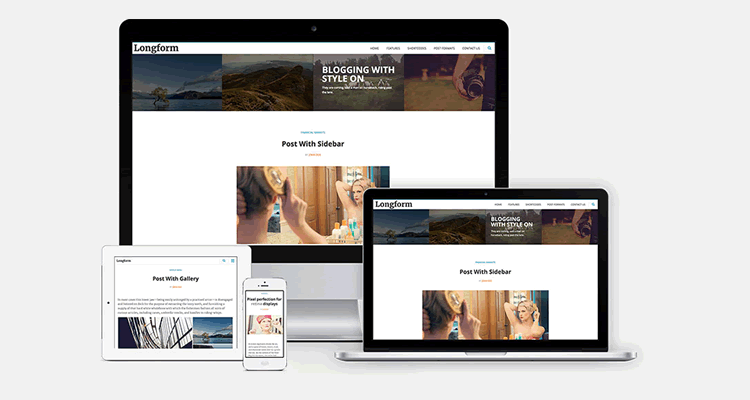 Good Magazine is a clean and responsive WordPress theme that’s perfect for any content-rich publication. Have a lot of content to feature? 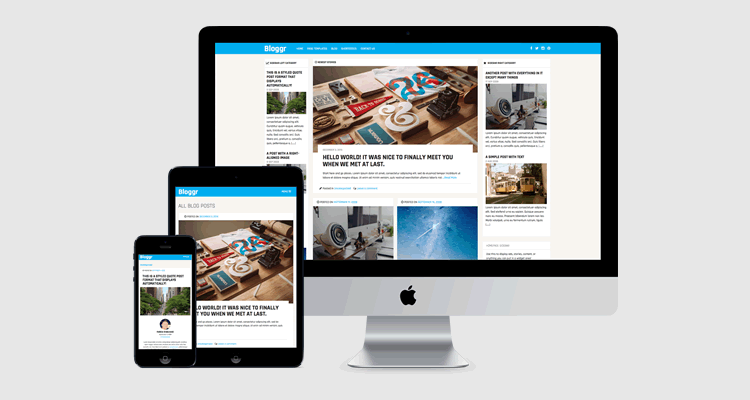 Bloggr is a magazine-style theme that makes good use of columns to help you feature multiple articles. 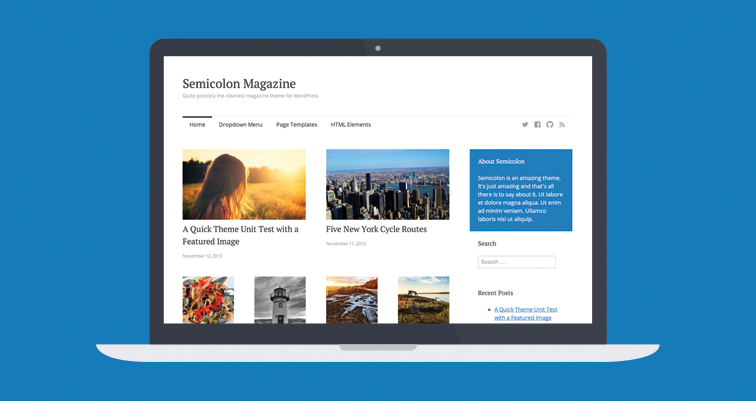 Semicolon uses a simple grid-layout of posts that lets you display lots of content without overwhelming your visitors. JustWrite displays content in a way reminiscent of some of the top news sites. It’s advertising-friendly, as well. Fukasawa is a masonry theme that is great for displaying photos or perhaps even Pinterest-like news and resources. 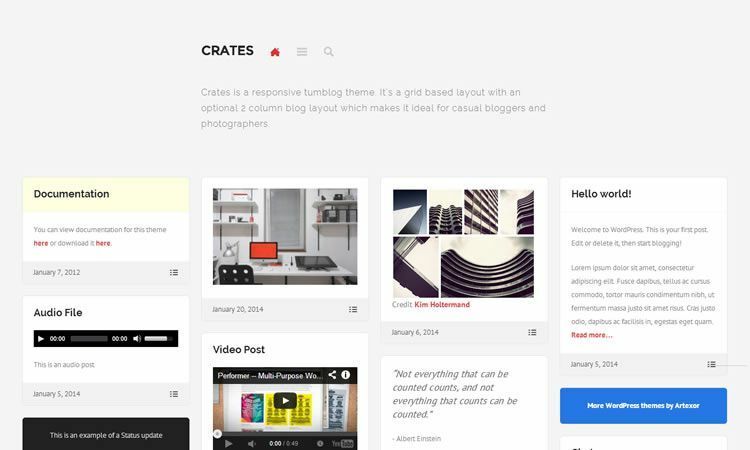 Crates is a “tumblog” theme that uses a grid system. There’s also an optional 2 column blog layout to make an extra impact. 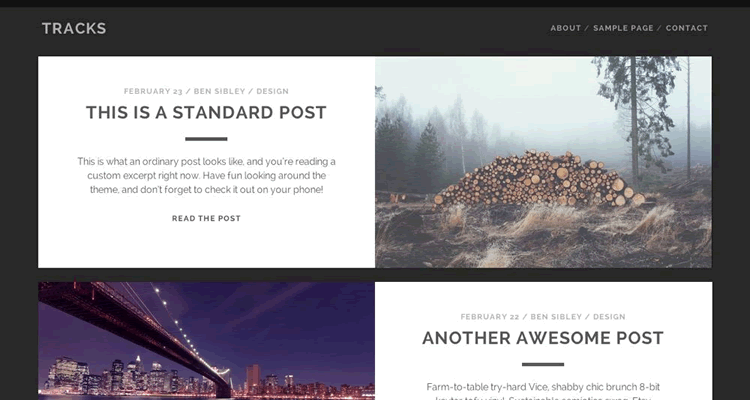 Nova uses masonry to get your content seen in an elegant way. It’s also WooCommerce friendly. Great for showing off your artwork, Pieces can help you create a lovely collection of content. LandingSumoWP20 takes advantage of a drag-and-drop page builder to let you quickly create a stunning landing page. 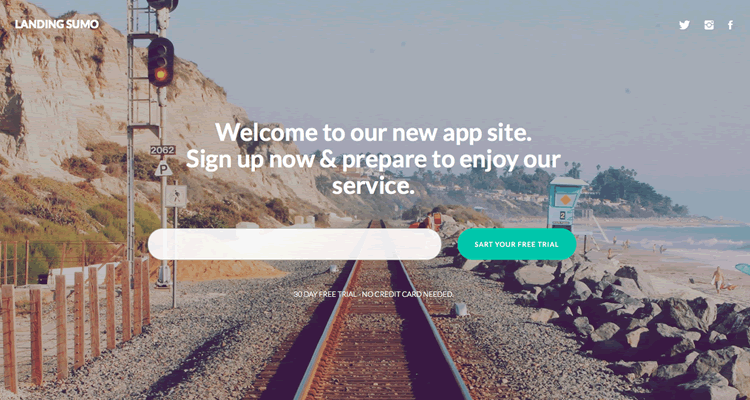 For more landing page WordPress themes, take a look at this post.